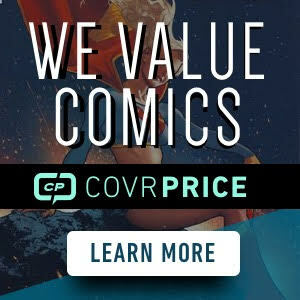 Final Order Cut-Off is the last day that shops can guarantee their orders for comics. After Final Order Cut-Off, or FOC, these books will only be available to retailers on Advance Reorder. And that is not guaranteed. So here are the highlights for Monday, 10/15/18’s FOC list. FOC Closes on these books 10/15/18 at Midnight. Batman #58 Mattina Cover – Great looking cover with the Penguin front and center. Justice League #11 Mattina Cover – I have mentioned my love of sharks more than once on CHU. This is Mattina doing Aquaman and a ton of killer sharks. Awesome. And Aquaman is starting to look like his movie version to boot. Originally solicited as a Jae Lee cover. Suicide Squad Black Files #1 – Canceled a long time ago, and just now being re-solicited. This was once a pretty specced on book, until the bottom fell out on it. Marvel Knights 20th #1 – Marvel Knights changed the way the street level heroes were seen in the Marvel U. Twenty Years Later, Donny Cates is in charge of the writing and will take this to all new places. 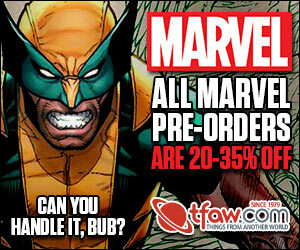 There is also a Deodato Teaser and a Jae Lee incentive worth looking at. Spawn #291 – Mattina does great covers on Spawn. His dark style plays well on the spawn covers and really looks good. Go-Bots #1 – While people think of the Go-Bots as the Transformers cheaper knock-offs, Go-Bots actually mad it to the market first. No luck with their cartoon, and years later they get bought out by the Transformers. But all the same, 80s and 90’s kids remember them fondly. Awesome posts on the liefeld feet conundrum—tastefully well done! Still laughing! Too funny. You would think he did that on purpose. He finally draws feet on a cover, and they are royally screwed up. ROFL. That made my week. When drawing feet, just stick your hands out to see what the toe placement would be based off your finger placement. Pretty simple. Or, when drawing feet just put the toes in their proper positions based off of your life experience of having, seeing and being around toes our entire lives. I think it is a well known fact that human feet are mirror images of each other, as far as anatomy is concerned. 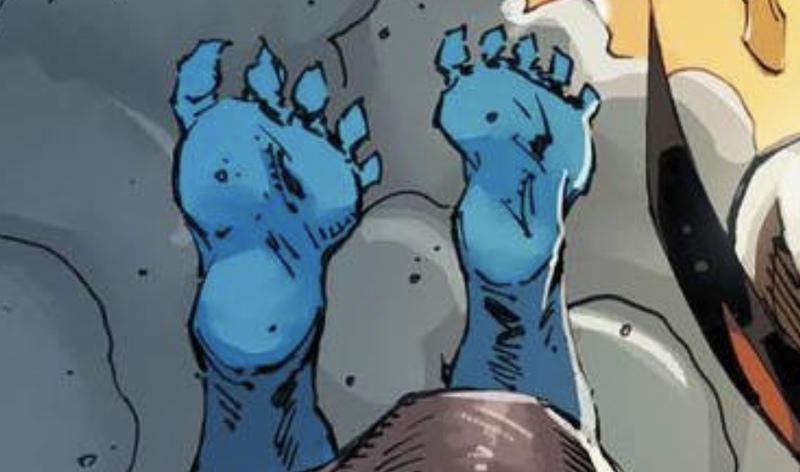 Mind you, perhaps you should forward your toe drawing hand trick to dear ol’ Robbie L..
Or perhaps Liefeld was taking some artistic liberties and he was trying to articulate , in that peice, that Hank McCoy can not dance and that he has ‘two left feet’. That J.L. cover us nice. Go-Bots. I completely forgot about them. That is def a trip down ol’ memory lane. Will be posting it shortly.